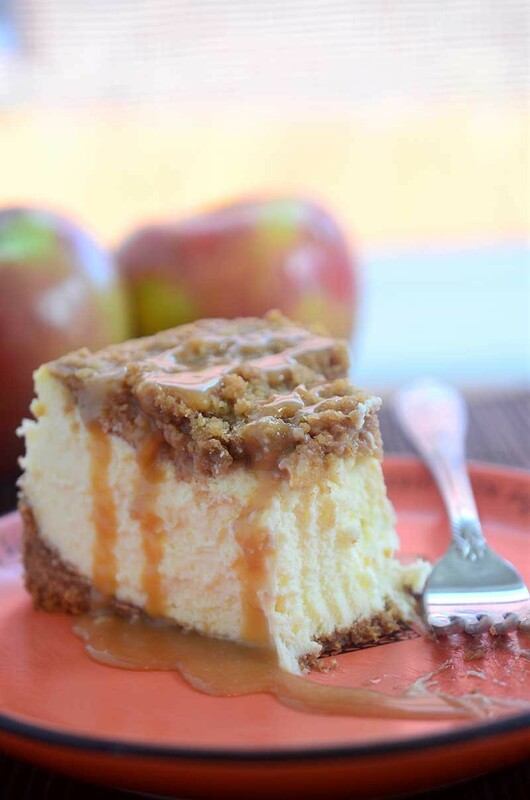 Caramel apple pie cheesecake is a decadent cheesecake with all of the flavors of fall. 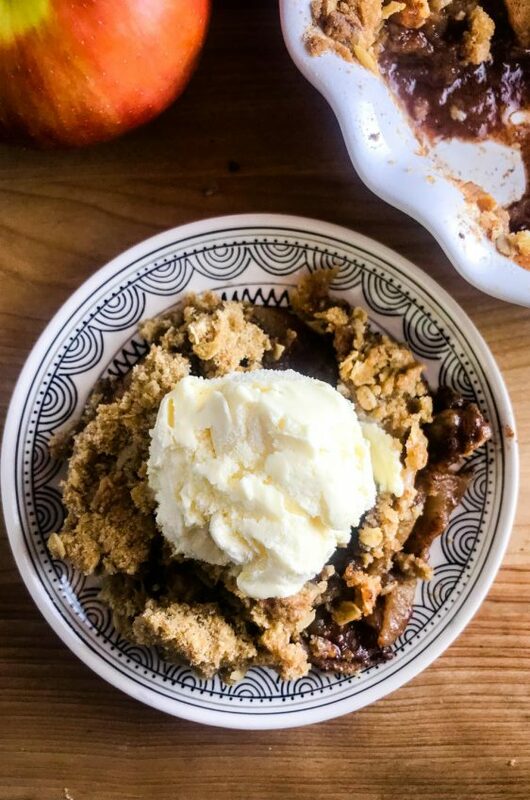 It’s the perfect fall dessert and a Thanksgiving dessert option that isn’t apple pie. If you are looking for a fall dessert that doesn’t have that lovely orange ingredient that gets plastered all over Pinterest starting September 1st, then I’ve got the perfect one for you: Caramel Apple Pie Cheesecake. It’s a great dessert and it is even better comfort food when your football team is not doing too well. Our Seahawks are 0-2 to start the season. I still have faith but right now, I need cake. In fact, I don’t need just any cake. I need cheesecake. Decadent, creamy, rich, luscious cheesecake topped with apples, streusel topping and caramel sauce. I am talking about Caramel Apple Pie Cheesecake and that is exactly the recipe I am sharing with you today. Would you believe me if I told you that I am not a huge apple pie fan? Despite the fact that I have a recipe for Cranberry Apple Crumble Pie. Really, I am not a huge pie fan in general. I think that is because when it comes to pie crust, I can really take it or leave it. It’s not my fave. Considered blasphemy by some, I know. But pie crust just isn’t my thing. Take the same apple pie and put a streusel topping on it instead of pie crust?! One step closer to a winner. That crumbly topping. The cinnamon. The apples. It’s pure fall comfort. To get a spot on my favorite dessert list though, instead of apples and pie crust underneath we need something else. Something with a little more lusciousness. Something with a little more decadence. When you do that, piling a smooth, rich, cheesecake with cinnamon apples, a perfect streusel topping and a drizzle of caramel sauce, you get a fall dessert show stopper. A dessert that just might be at the top of my list. And I am betting, that after one bite this Caramel Apple Pie Cheesecake will be at the top of yours too. One little note: the streusel topping can be a little hard to cut through at first, which can make for some not so pretty pieces of cake. But running a sharp knife under warm water before slicing helps a bit. But pretty pieces or not, this Caramel Apple Pie Cheesecake recipe is totally winning. Preheat oven to 350 degrees. Place the spring form pan in the middle of two large pieces of heavy duty aluminum foil. Bring the foil up the sides of the pan. Crimp the pieces together around the pan. Make sure it is tight and secure so no water gets in during the baking process. Begin to boil a pot of water. 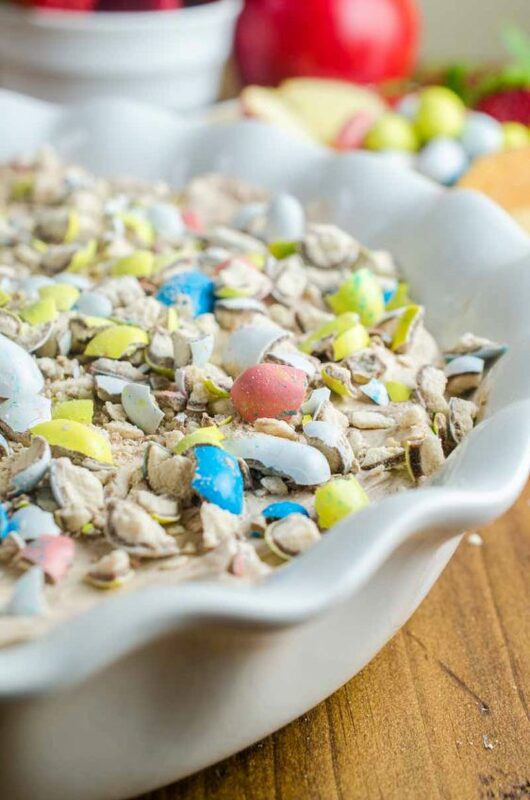 Combine graham crackers crumbs and melted butter together in a bowl. Mix well. Press graham crackers into the bottom of the springform pan. Bake for 10 minutes. Remove and allow to cool. While the crust is cooling, beat cream cheese and sugar together in the bowl of a stand mixer until smooth. Beat in eggs 1 at a time being sure to scrape down the sides of the bowl after adding each egg. Beat in vanilla extract, heavy cream and sour cream. Continue mixing on medium speed until the mixture is silky and smooth. Pour mixture into cooled crust. Combine apples, lemon juice, sugar, ginger and cinnamon. Mix until apples are coated. Make streusel topping by placing butter, granulated sugar, brown sugar, flour and cinnamon in a bowl. 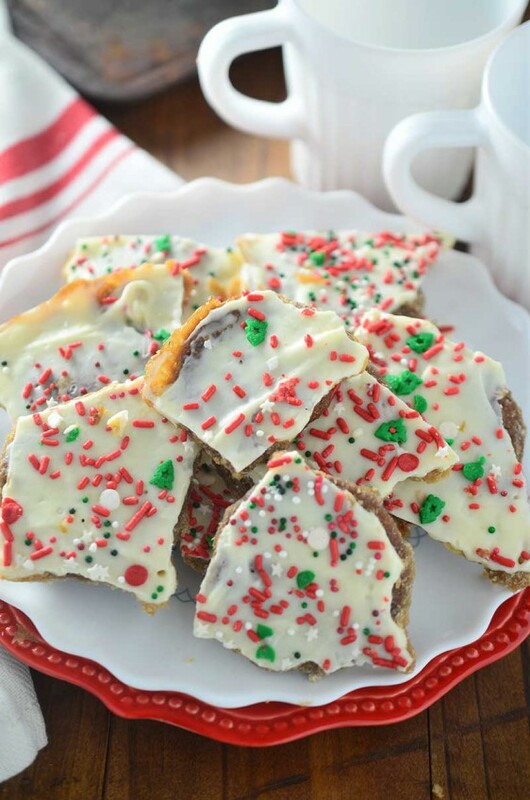 Use a pastry cutter or your hands to cut butter keep working until mixture becomes crumbly. Scatter the apples over the cheesecake. Sprinkle streusel topping over the the top. Place cheesecake into a roasting pan. Place in the oven and pour the boiling water into the roasting pan, quickly close the door. Bake for 60 - 70 minutes or until the cheesecake is set. The middle will still be jiggly. Turn off oven, keep oven door closed and allow cheesecake to cool 1 hour in oven. It will finish cooking during this time. Remove cheesecake from oven, carefully remove it from the water bath. Remove the aluminum foil, being careful of any water that may have worked its way in. 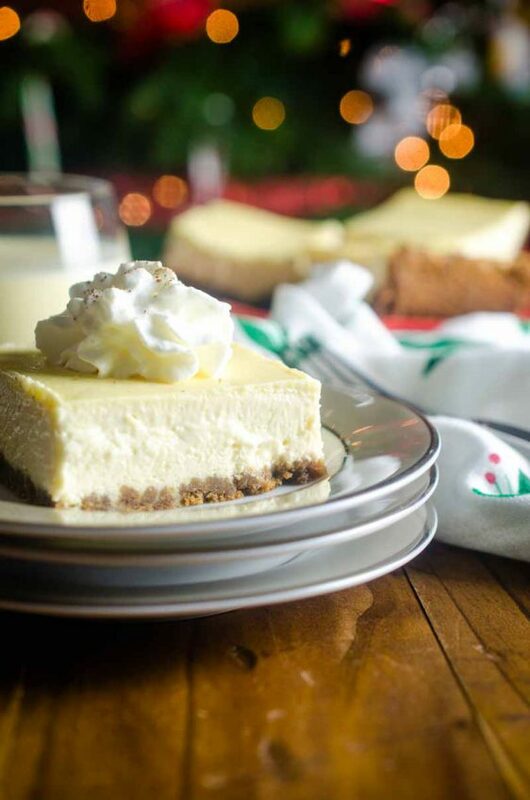 Chill cheesecake in the refrigerator 6 to 8 hours or overnight. About 30 minutes before ready to eat, heat caramel candies and 2 tablespoons milk in a saucepan over medium-low heat until caramel melts. If sauce is too thick, add remaining tablespoon milk. Remove from burner and allow to cool 10 minutes. Run a sharp knife under warm water until warm. 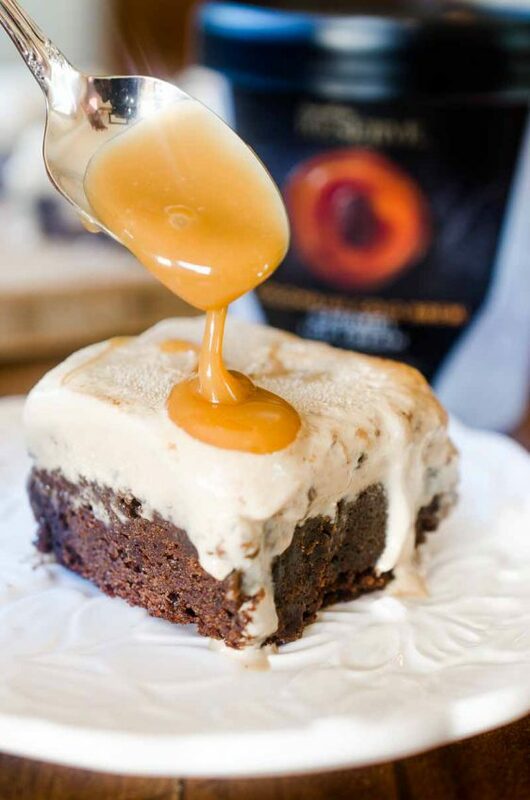 Slice cake, drizzle with caramel and serve. Oh boy. I wish I could dig my teeth into that cheesecake! Looks heavenly. Now THIS is a cheesecake! This has all my fall favorites in one place – LOVE! Streusel, apples, cheesecake…girl, you are speaking my language here! This looks awesome! Oh, yes! I’m a huge apple dessert fan, so pairing with cheesecake is just perfection for me! Love the caramel! uM.. i’m totally just drooling over that oozing caramel down the side. Now you are making me crave cheesecake, and its only 9am! Wow, I sooo want a slice of this right now! Um, it’s not even 8:00am yet and I think I need a piece of this like, right now. Looks SO good. YES! Always streusel over pie crust. :) And I love pumpkin but September is all about apples for me. So I’m totally loving this! 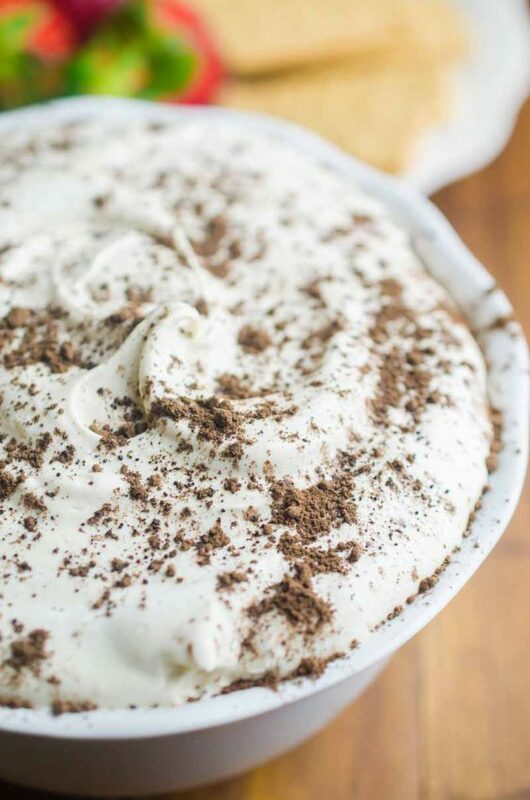 This is the perfect fall dessert. I wish I could have a piece right now!